Is he a genius? Is he crazy? Is he Ethatron? Yes! Alenet reads the entire OBGE source code. 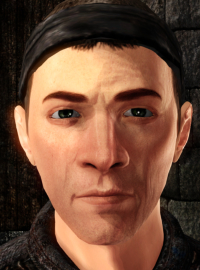 It takes great effort: from a side, the OBGE's source code, big and incomplete, very complex and singular, on the other the Oblivion interpretation; no one to ask, all developers have left. Alenet's great experience in developing is streched to a max. The idea is to create a plugin that collects the great features of OBGE, while breaking the OBGE's limitations and bugs, and in addiction, including a series of other functionality whose purpose is removing limits from Oblivion that today have no reason to exist. Like the phoenix rising from ashes, OBGE lives once again: Oblivion Reloaded was born, the result of the story of developers like TimeSlip, Scanti, ShadeMe and Ethatron and now the Alenet's ability. And so...the year is gone and the OR's development is near to the end. Alenet restructures, rewrites and finishes one of the biggest mod of the TES story. From the graphics, to the dual combat, new camera mode for a great game immersion, and many other features. Nights and nights to find the best way to apply changes to the code keeping it clean and linear. Oblivion Reloaded is completed. Now it is the time.........for Skyrim!! Yeah! Also SR arrives. Porting many features from OR, also Skyrim Reloaded is ready! Many patches.....many new features....many new game fixes. 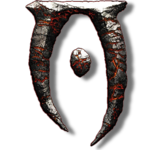 The community appreciates a lot the work and Alenet extends OR/SR to a powerful patch called TES Reloaded. TESR's core works directly on the game engine and it is the common framework for OR and SR. It needs support and users have several questions. So Alenet decides to bring up a new dedicated forum instead hosting TESR on NexusMods. And we are here! tesreloaded.com! A special thank to ShadeMe, the "sheriff" of the Oblivion's modding world and to the OBSE team: Ian Patterson (ianpatt), Stephen Abel (behippo), Paul Connelly (scruggsywuggsy the ferret); people who, together to Bethesda, have made the history of this video game.